If you are familiar with coconut oil, then you have heard about how healthful it is considered to be. 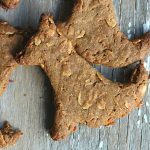 You may also have heard that there are a ton of uses for it beyond the obvious cooking and baking applications. One of the uses that has been trending recently is what is called “oil pulling.” Oil pulling is a technique which has apparently been used for thousands of years where people put a spoonful of healthy oils such as coconut oil in their mouth and swish it around for 15-20 minutes a day. The supposed benefits include: whiter teeth, stronger gums, removal of toxins, as well as improvements in headaches, acne, diabetes, asthma as well as others. 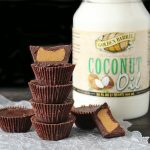 There are even stories of people who have stopped brushing their teeth all together in favor of oil pulling and even claimed it has healed their cavities. I was curious about it and did try oil pulling with coconut oil a few times. Although, I didn’t necessarily hate it, its not for everyone. In other words, it takes time and patience. I did, however, recently hear of another use for coconut oil: homemade toothpaste. 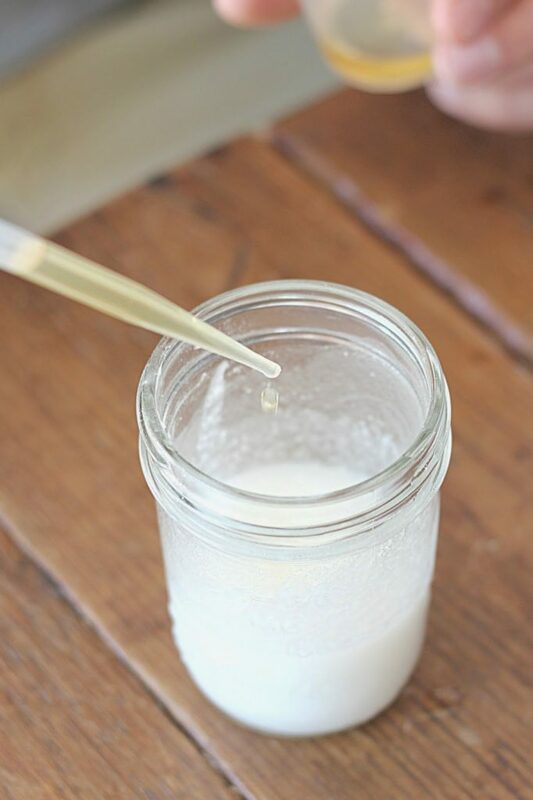 Making homemade toothpaste interested me because I love to find new uses for our Golden Barrel products. Plus it is ultimately cheaper than buying toothpaste and you have full control over the ingredients which do not have to contain unnecessary chemicals or preservatives. Have you ever looked at the ingredients in most store bought toothpastes? Well I just did and when you can’t pronounce the names, chances are that it is a something not good for you. Plus there are some alarming warnings on the back that most people just tend to ignore. Hydrated silica, water, glycerin, sorbitol, PVM/MA copolymer, sodium lauryl sulfate, flavor, cellulose gum, sodium hydroxide, propylene glycol, carrageenan, sodium sacharin, mica, FD&C blue no. 1, D&C yellow no. 10. Warnings – Keep out of the reach of children under 6 years of age. If more than used for brushing is accidentally swallowed, get medical help or contact a Poison Control Center right away. I don’t know about you, but its kind of scary that we think nothing of putting something with a Poison Control warning in our mouths. 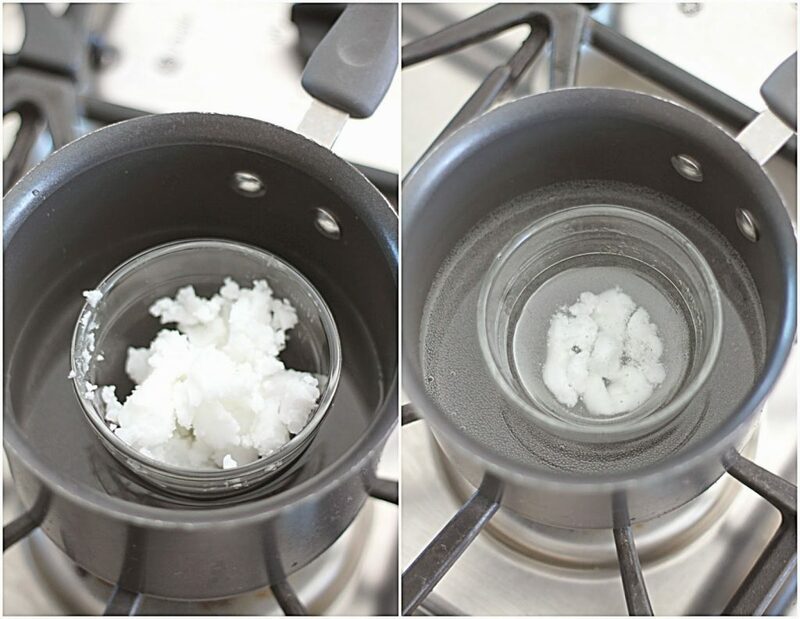 Melt the coconut oil on the stove or in the microwave. If melting on the stove, place in a small bowl and heat with medium heat inside a pan of water. 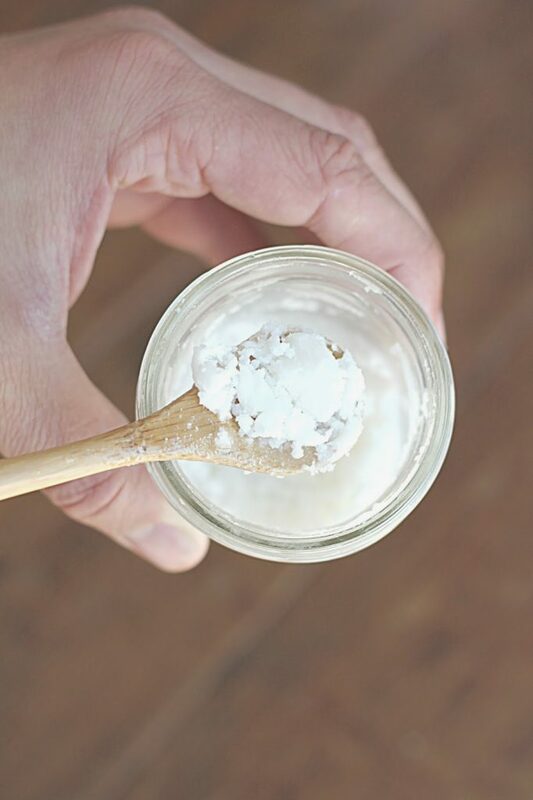 Add melted coconut oil into your container which already contains the previously added baking soda. 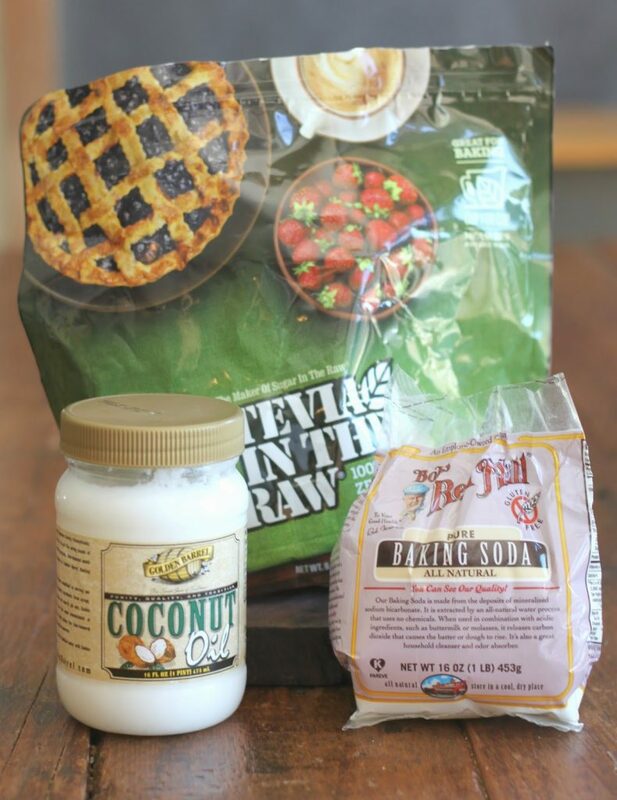 Add the packets or 1-2 teaspoons of Stevia. Add essential oil for flavor. Finally, stir all the ingredients together with a small spoon. 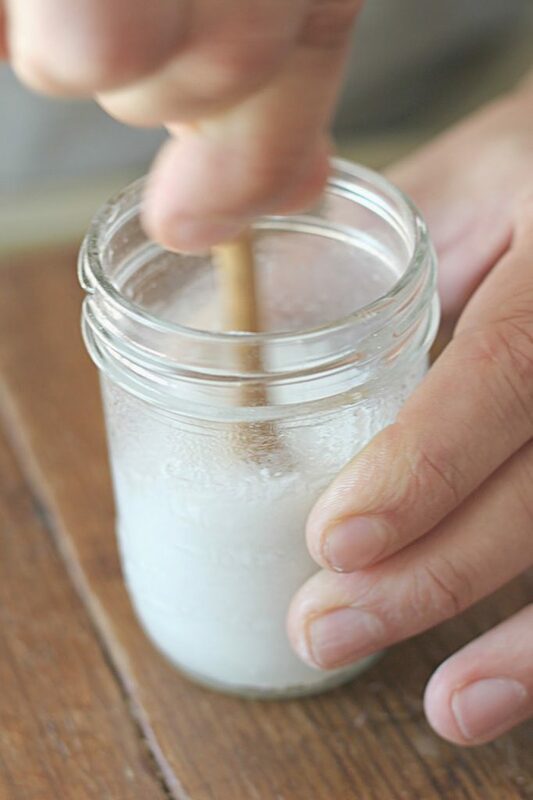 The paste will somewhat harden in the jar depending on room temperature so a spoon or a Popsicle stick can be used to dig it out and spread on the toothbrush. 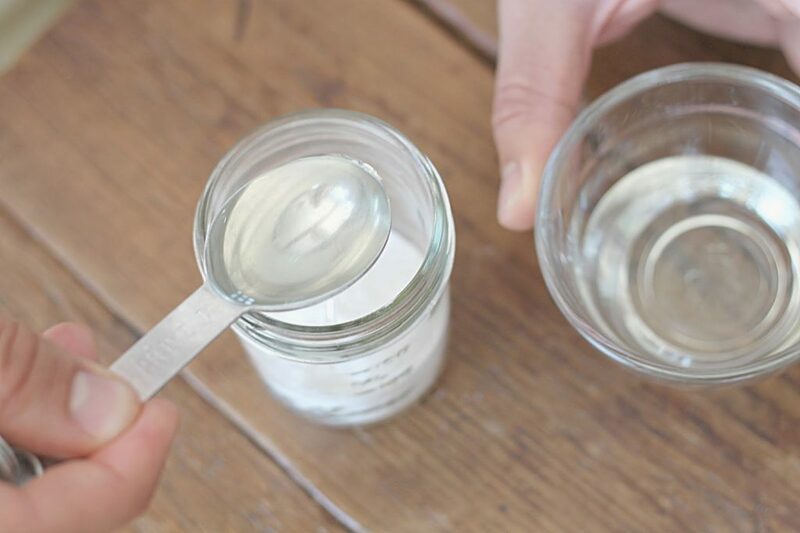 This simple toothpaste formula literally took about 5 minutes to whip together and contains things that you may already have in your cupboard. The coconut oil has great antibacterial properties since it is high in lauric acid. Remember, many “oil pullers” swear by it. Baking soda also has many health claims and uses and has commonly been known to clean and whiten teeth. It also neutralizes the bacteria-loving acids in your mouth. 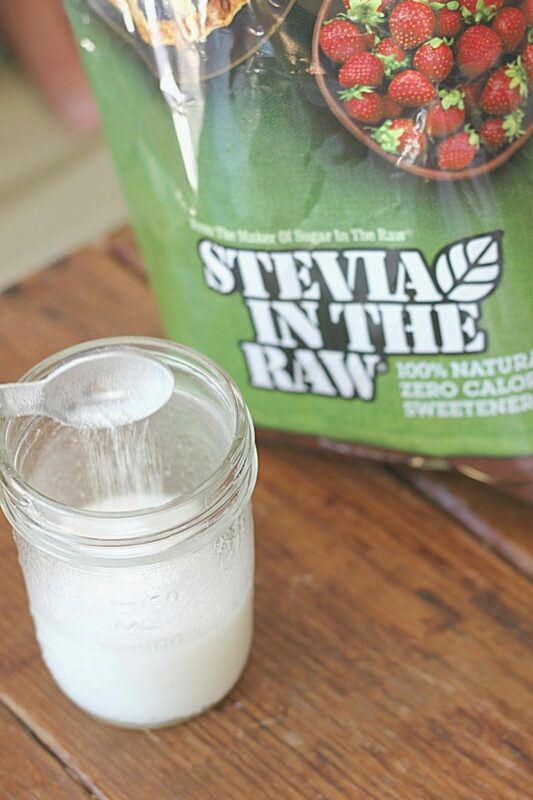 Stevia (a natural sweetener that does not raise blood insulin levels) is simply used as a sweetener to help mask the baking soda flavor. The essential oil adds flavor and also additional antibacterial properties to the toothpaste. You may have to add more sweetener and/or essential oils to adjust the flavor according to your liking. After I made up the formula, I was eager to try it. The taste was not the same as regular toothpaste and I did actually go back and add some more Stevia to sweeten it up a bit. The texture was also a little different but just took some getting used to. However, as far as a teeth cleaner, I was impressed. My teeth and gums felt very clean and continued to throughout the day. They honestly felt cleaner than when I used the unnamed toothpaste above. I then had my wife also try it and she said the same thing. We even, surprisingly, were able to get my 4 year old son to use it. 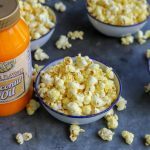 Considering that no chemicals or preservatives were used, it contains only healthful and edible ingredients, and that it really works; I would definitely recommend it.So why not give it a try! 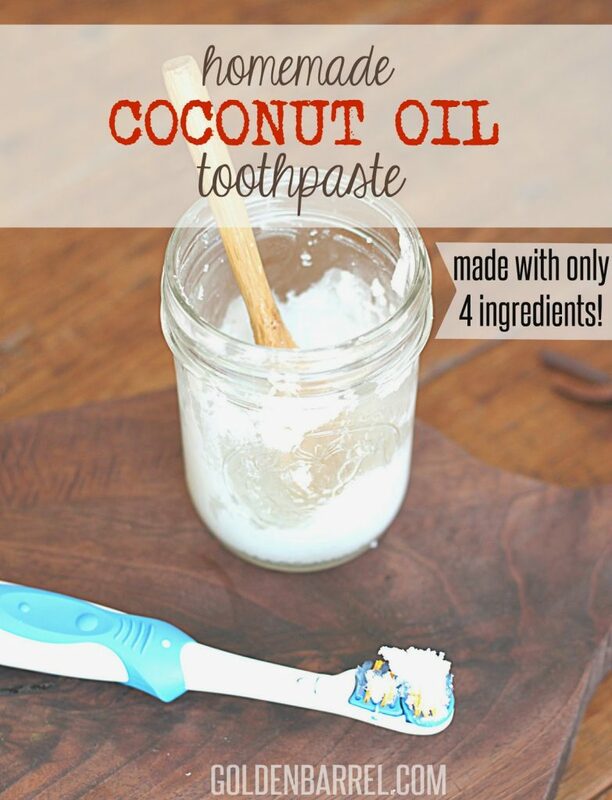 We would love to hear about your experience using our coconut oil to make toothpaste or even try oil pulling. Let us know what you think or if you have any suggestion on how to make it better. Follow us on our Facebook page for more updates on how to use our products. Love this stuff!! Seriously makes your teeth feel amazing! 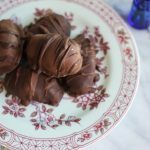 I have been making my own for several months now, my recipe is similar but not sweetened. I just put the soda in a small cup, add peppermint oil(a lot because we like it strong) and then add just enough coconut oil to make it into a thick paste. I also made a variation using cinnamon from my cupboard when I ran out of peppermint, mixed half soda half cinnamon and added a grating of nutmeg, then add c'oil til pasty. That one would be better if cinn oil added as well as the flavor is weak, but the cinn pwdr provides some cleansing effects as well. It is from the bark of a tree(like neem) and my teeth feel good and I havent had a toothache in quite a while. My mouth is healthier than when using fluoride toothpaste! Thanks for telling us about your version and experience with the toothpaste. Having used this for over a month now, I totally agree that my mouth feel healthier and cleaner than ever. This was written in 2014. How are you liking it? Are your teeth whitening?